Getting out and enjoying Enid activities can be difficult, but only because there are so many options to choose from, it can be hard to decide on just one! Which Enid attractions are you and your family are going to take advantage of this week? To make the decision easier, we’ve put together a list of our favorite places to visit in Enid, OK. Use it to get started and discover something new! Have a houseful of curious kids longing to learn something new? Maybe just one who can’t ask “why?” enough? Teach them to explore their world and get answers to those burning questions at Leonardo’s Children’s Museum in Enid. The museum features a two-story play structure, interactive displays, and live animals to help children learn about their world while burning off a little steam. What’s better than a night out at the theater? How about a night of comedy at one of Oklahoma’s oldest – and most active – community theaters? The Gaslight Theatre not only offers hilarious comedy, gripping drama, and toe-tapping musicals, but also children’s theater, kid’s drama camps, Shakespeare in the Park, and so much more. Meadowlake Park isn’t just a peaceful, natural setting to enjoy picnics and family outings, it also offers train and carousel rides, miniature golfing, horseshoe courts, fishing, playground equipment, a dog park, and more – Meadowlake really does have it all! You can even rent a paddle boat and get out on the water to cool off in the summer and get away from the inevitable crowds with your sweetie. If you’re a fan of the steam locomotive, then you’ll love touring this museum. Most items are from the private collection of the museum director, Frank ‘Watermelon’ Campbell and includes signage, miniatures, books, pictures, and even full-sized cars you can tour. A must-see for any fan of the rails. Step back in time to a period when Oklahoma was a territory, and the great land rush was on! The cultural center includes information about the early days of colonial settlement in the area, as well as the push for westward expansion and homesteading on the prairie. Explore interactive exhibits and learn all about the early days of Enid from the crew of knowledgeable volunteers. Let Jacksons of Enid CDJR Guide You! 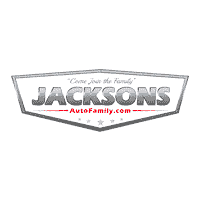 Whether you’re a local or visiting from out of town, the team at Jacksons of Enid CDJR is happy to help show you around our beautiful town. If you have any questions or concerns, about our new Chrysler, Dodge, Jeep, Ram models or anything else, don’t hesitate to contact us today!